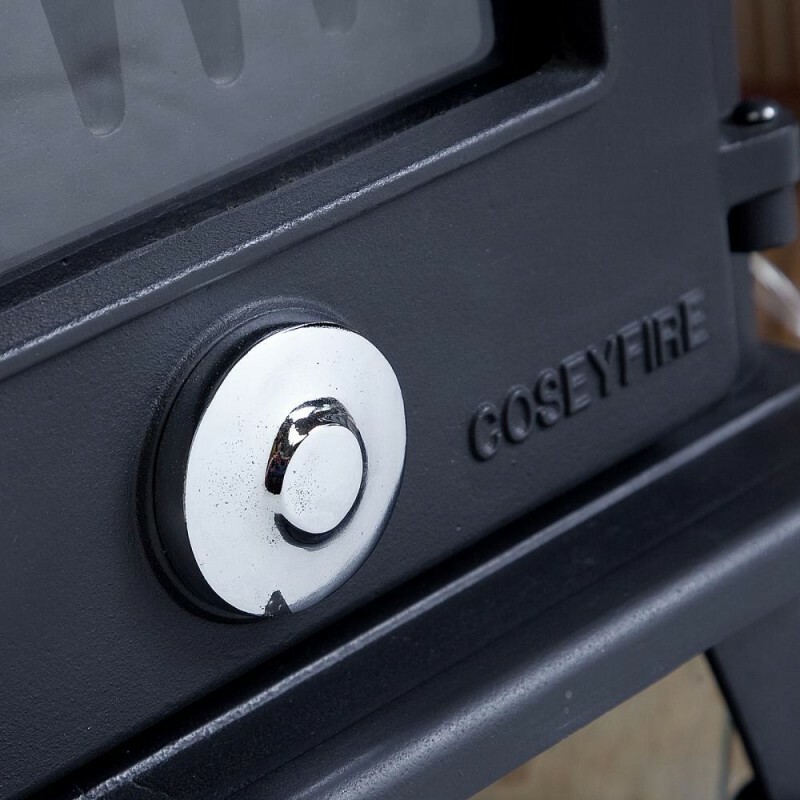 This advanced unit has been designed by our brand Coseyfire and incorporates an advanced pre-heated secondary burn system ensuring a clean and efficient burn. This stove is wonderfully hand constructed and blends traditional styling and modern efficiency. The Petit is made from thick mineral cast iron, and is designed to stand the test of time. Clean lines make it suitable for a wide range of decor, styles and tastes. The Petit is a multi-fuel stove that will deliver a reliable source of heat with an accurate degree of control. Controlled by the secondary airflow lever and the chrome spin dial on the stove's door, you will find this stove not only a joy to look at but, a joy to use. The Coseyfire has an advanced seconday/tertiary clean burn system. Air is fed in from the rear and split off to be fed over the fire (Secondary burn) and over the glass to help keep it clean and clear (Airwash system). The secondary burn feature is a real advantage as this re-burns the initial gasses and smoke produced from the fire. This means you are getting every drop of heat from your fuel and in turn will save you filling the stove up as often, saving you money and time on fuel. This Petit has been rigorously tested and approved to burn wood in a smoke controlled zone. Defra approved stoves with 5" flue outlets, like this one, can also be installed with a 5" liner. (This covers the stoves body and not the internal perishable parts like grates and fir bricks.) Guarantee is activated when the stove is invoiced. 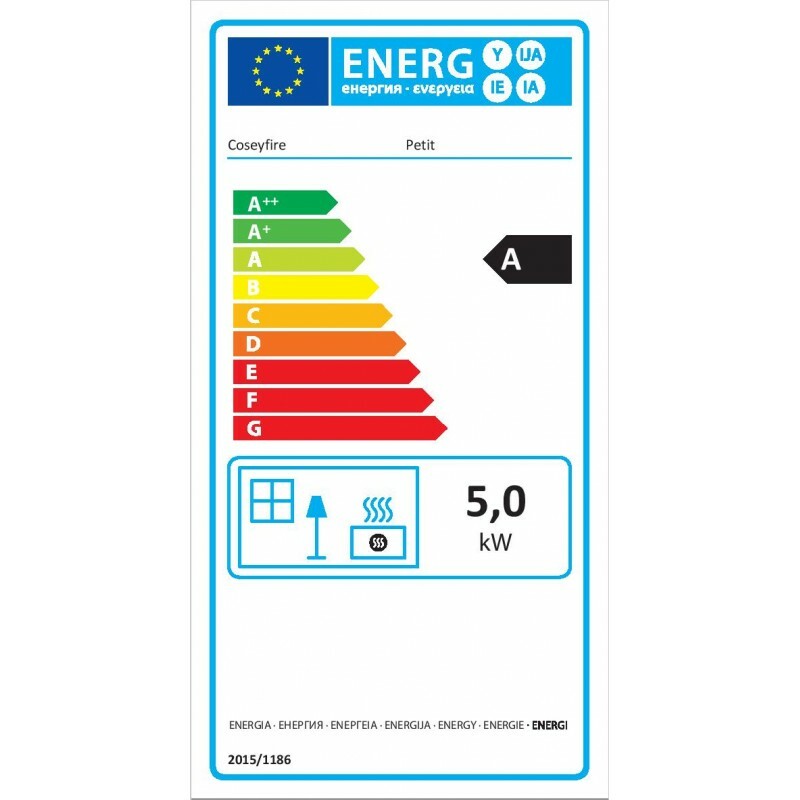 6 digit number on the top of each invoice is the warranty number.For stove to be covered it must be installed by a HETAS engineer or signed off by building control. The Ivory enamel finish on the Coseyfire Petit 5kw wood burning stove looks stunning and the picture does not do it justice. You can be assured that it will be the talking point of a room. 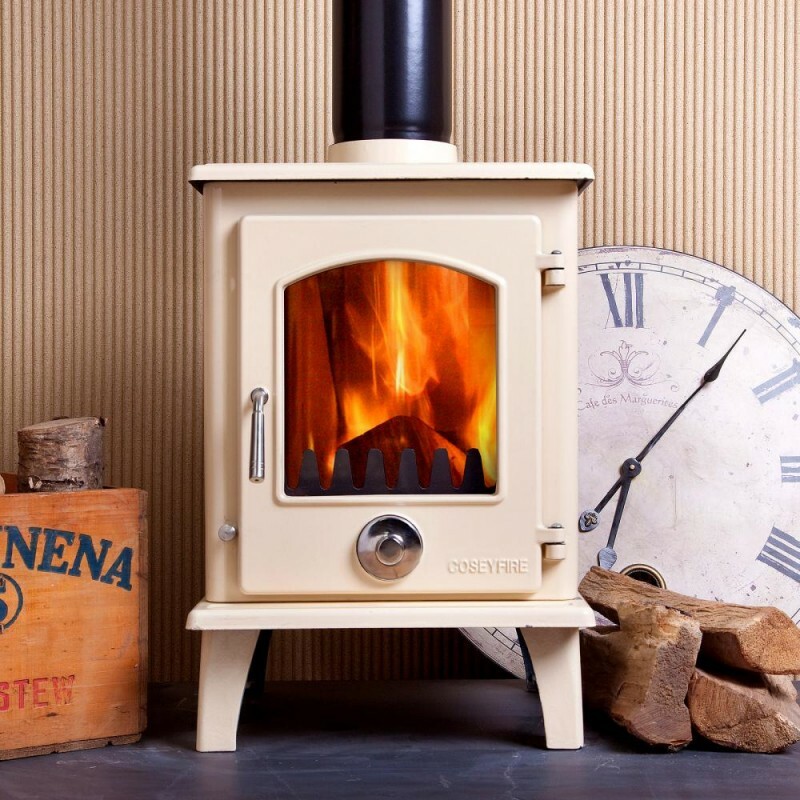 The advantage of an enamelled wood burning stove is the ability to wipe it clean. However, the enamel can chip quite easily and when your stove arrives you may find a few very small chips where the stove has been put together. This does not happen in all cases, but we have to make people aware. This small issue is more evident on the cream version because the cast iron is black underneath the cream enamel. On the wine red version they do not show up. If the chips are very large and caused in transit we will obviously arrange collection and a new delivery. The Coseyfire Petit Defra approved cream enamel wood burning stove has an excellent overnight burn system. 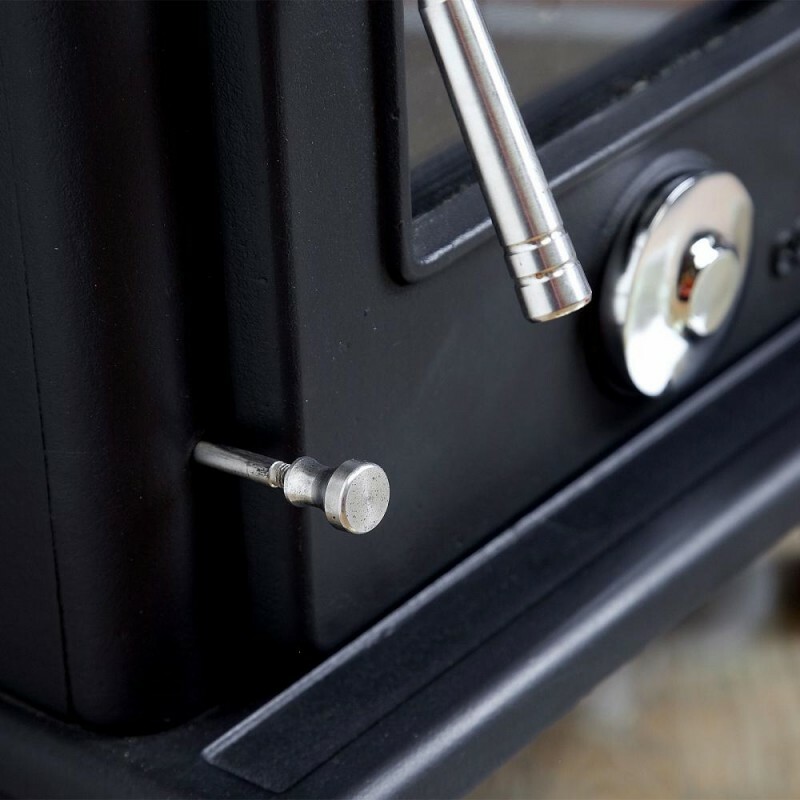 The stove's airtight door gaskets and manually controlled air flow controls allow you to close the stove right down overnight and wake up to a warm house in the morning. All you will need to do is reopen the air controls, add a little coal or wood and watch the fire roar again. This is a common question we get asked and understand why people will sometimes wonder how we can sell enamel wood burning stoves so much more cheaply than other companies. We design a large amount of our products and they come direct from our factory to us. This completely cuts out any middle men. We can stock over 2500 wood burning stoves at any one time and ship direct to the end user with no showrooms. 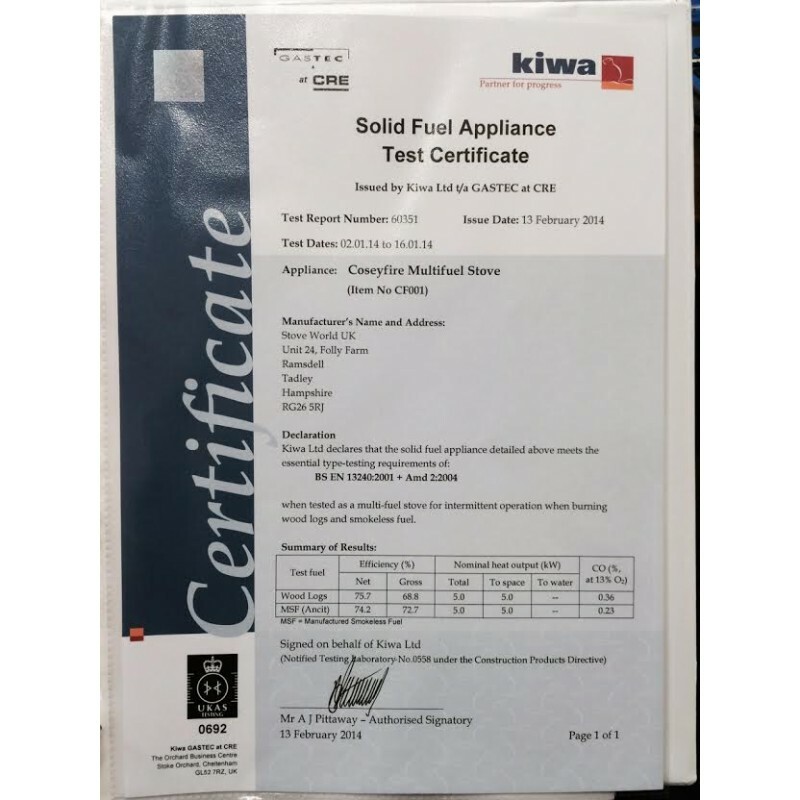 We always suggest prospective buyers take a look at our glowing feedback that currently has over 7,000 positive comments on our stoves and stove products. 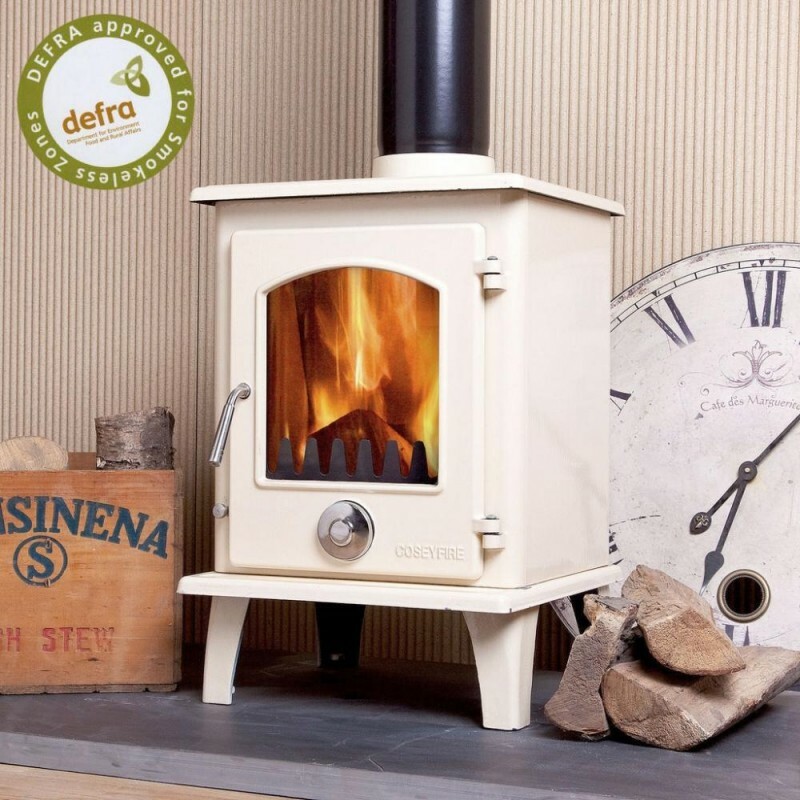 Please note that this is the price for delivery of Defra Approved 5kw Coseyfire Petit Ivory Enamel Multi-Fuel Woodburning Stove only. The final amount might change depending on the contents of your shopping bag when you check out.